Since the complaint to the Grand Jury has been fulfilled, we have been advised by the office of the San Luis Obispo County District Attorney it will not “interfere” at this time because of the decision by the Arroyo Grande City Council on Sept. 20. This letter strongly recommends that the council request that the office of the district attorney select the investigating attorney and that neither members of the council or the city’s attorney be involved in the selection or the mentoring of the investigation — and that the investigation include the cover-up of the incident. 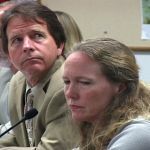 The Arroyo Grande City Council made a decision on Aug. 26 prompted by the testimony in public comment of the unhappiness by citizens regarding the Adams/McClish matter and their desire for an open investigation of the matter. The Council agreed for an open meeting, an open process of transparency, in an expedited Special Meeting (Tim Brown, Jim Guthrie and Joe Costello). Barneich and Tony Ferrara agreed while apologetically defending Adams. But city attorney Tim Carmel invoked Government Code Section 54957 to establish closed sessions in the general meeting of Sept. 9 and the special meeting of Sept. 20. He ignored the quest for an open meeting on the substance and transparent process of the matter, using an apparent legal diversion. This law, 54957, used by Carmel, was inappropriately applied. It was not a true personnel “performance evaluation.” Adams was personally judged by the council as having only been indiscreet immediately following the original investigation by Carmel’s legal associate back on July 8. This was decided in a closed session and was never put on the agenda for that meeting — a clear violation of the Brown Act. So as far as this indiscretion was concerned — whether sexual or social — Adams and McClish were declared innocent. The subsequent meetings after Aug. 26 on Sept. 9 and 20 dealt with the substance of the matter, the specific item of approving an investigation of the incident. The meetings were not about a specific “evaluation” of Adams. The agendas did not reveal that a discussion would involve the questions of the background or the issue of another investigation of the matter. This was an obvious Brown Act violation and the Council must instruct Carmel to desist in its use considering the clear intent of the council to have open hearings on the matter. A personal “performance evaluation” of Adams is rightfully prescribed in law as a closed meeting requirement and that was specifically referred to by Brown Act in the council meeting of Aug. 26, which may have been appropriate in the first consideration of the matter on July 8. But not in the subsequent meetings from that day forward. Besides this, there is the obvious and compelling contradiction and legal conflict of Carmel continuing to be included in selecting an attorney or in the monitoring of the investigation and depositions including the outline for the investigation. Carmel also should not be involved in the allegations regarding a “cover up” of the matter. Carmel appears not to have “clean hands” as a co-conspirator in the cover-up in supporting Ferrara’s and Adams’ public comments and by the misapplication of 54957. Besides this, Carmel selected his associate that performed the first investigation, now critically assailed for many reasons. The council has used a tactic utilizing awkward timing to obfuscate and complicate the attendance at the closed hearings: a late night item on the agenda in the meeting on Sept. 9 and in holding the next closed meeting on Saturday, Sept. 20, in the village — a time conflicting with the parking at the Farmers Market and of the typical weekend traffic attending the stores and restaurants. There were no open meeting as called for on Aug. 26, only closed meeting at awkward times to discourage those citizens concerned with the matter. This tactic of obfuscation added to the apprehension of cover up. – the council should not be involved in the selection of an outside independent counsel. Carmel should not be involved in any way with the investigation. The council should request the district attorney select a truly independent legal counsel. Otis Page is a long-time citizen of Arroyo Grande. Otis Page for mayor ? I don’t know ..maybe AG likes a tin-foil-hat nutburger gadfly, and would be befitting given the demographics of the populous. The incredibly hilarious disconnected outbursts at public meetings will make for fine copy. Great job, Otis. While reading your opinion, I smiled all the way through. P.S. just an fyi…I am noticing tonight that no matter whether I select “like” or “dislike,” it is counted in the “dislike” column, so those figures may be off. I hate to be the bearer of bad news, but this kind of corruption and “We are smarter than you so shut up and let us keep screwing you” attitude is prevalent in ALL government, not just AG. This whole country is screwed from the White House down to the local CSD’s. Give up the fight, it is a waste of energy. Just live each day as if it is your last…because with these buffoons running things, it very well may be. Perspicacious with an attitude like that no wonder nothing ever changes. We are a government of the people for the people. Do you even bother to vote with that kind of an attitude? We hear you, we agree and we will stand with you. That makes me stand up for what I think is right time and time again. Our police dept is so great, together we will get them out of office and send notice that we are mad as hell and not going to take it any more. Yes, I vote, but in this state my vote doesn’t do much good. I haven’t missed an election, primary, special, or otherwise since 1982. I kind of said “give up” sarcastically. I still do what I can, but I am under no illusions that things will ever improve. Perspicacious, you are correct that corruption, cover ups and ignoring the demands of the public are prevalent at all levels of government. The Cambria Community Service District is a fine example of hidden agendas. As a note, Tim Carmel is the Cambria CSD Attorney. On this point you are a realist. Too many people are getting rich off the corruption to change it. However, we can hope that more people expose this kind of corruption and public ridicule will bring more shame and dishonor to these lowlifes. Bravo Otis! Shout it out!!! Boy looks as though the mayor of AG and Morro Bay’s mayor and council majority are running neck and neck for corruptness in this county. I can see why Mayor Jamie Iron’s speaks so highly of the mayor of AG. They are 2 peas in a pod! Great work Otis! Them both to the cleaners……well deserved!! Nice work, Otis. The country needs more citizens like you. There is a cancer on AG city hall that has to be removed. The powers that be in AG are going to just drag this out and hope the furor dies down. Weeks to select an independent investigator, another couple of months to conduct an investigation and by then hopefully everyone’s attention will be elsewhere and the citizens of AG will be stuck with these same sorry leaders. AG needs new leadership or this city will continue to deteriorate. Otis you need to declare yourself a write-in candidate for Mayor. Write-in candidates are very difficult to win, but the state of Alaska had a US Senate race won by a write-in a few years back. Absentee ballots are mailed out in a couple of weeks and the voters deserve better than this. So AG, repeat after me . . . Otis Page for (write-in) Mayor! Note for uncomfortabletruth and kayaknut: In the comments following the CCN article titled “AG Council yields to officer probe demands”, Otis posted on Sept. 22 at 9:16 pm that he does not intend to do a write-in campaign for mayor, and, instead, he suggests Heather Jensen as a mayoral write-in candidate. That’s fine too,anything but what we have presently. I have news for you, that “cancer” has taken over ALL government, not just AG.